Windows has some resource hogging applications that run in the background that could be the reason for applications to start slower or run slower or folders opening slowly, one such background application is the Indexing Service of Windows that indexes contents and properties of files on local and remote computers. Here’s how you can disable Indexing in Windows XP and Vista. 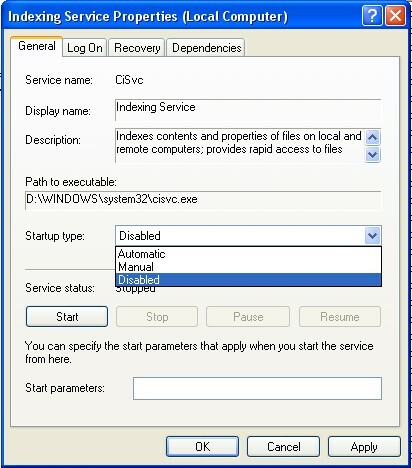 Double Click on Indexing Service and set Startup Type To “ DISABLED”. 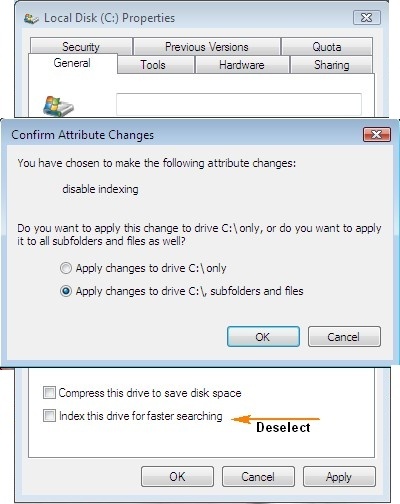 In the popup make the choice of either C or All files and folders in C drive. The same steps can be applied to all drives under Windows Vista. Similar steps can also be followed in Windows XP and 7 also. In Windows 7, the service is called Windows Search.